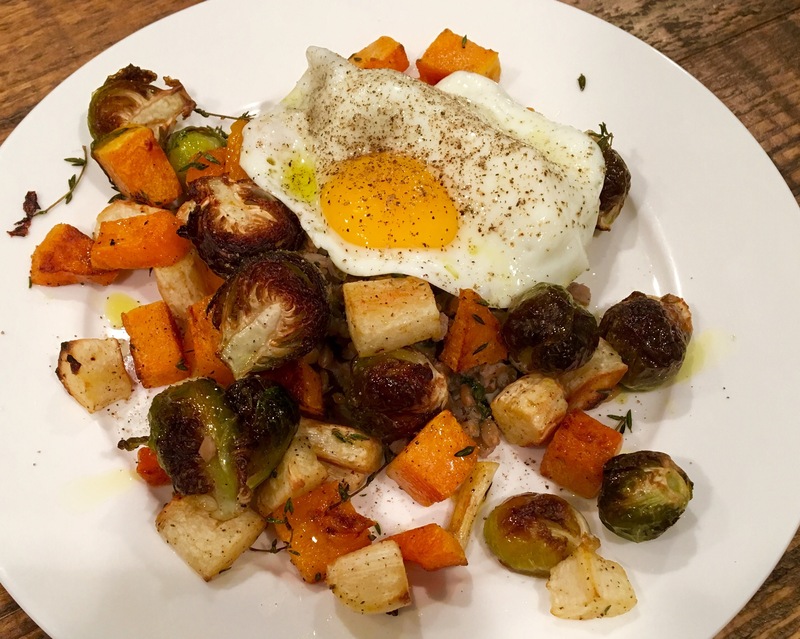 Tuesday night dinner: Brussel sprouts, butternut squash & parsnips roasted with olive oil and thyme, on a bed of farro with mushrooms, topped with an egg (that’s sunny side up, not fried). Roasted veggies and cooked grains are side dishes by themselves. But put an egg on your plate and you have dinner. Or even brunch. Either way, this is a colorful, satisfying and super-nutritious meal. For my WW friends, this plate is 9 Smart Points, ready in 35 minutes.